The CDN celebrated its annual Away Day with all members of staff on 9 June, in Roehampton south-west London. The aim was to provide an opportunity for students and staff to network and socialise beyond the usual academic formats. 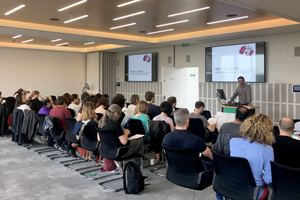 The Away Day opened with a warm welcome from the CDN Director, Oscar Marín, followed by an update on the actions carried forward from the previous Away Day by the Head of Scientific Affairs, Andreia Carvalho-N'Djai. 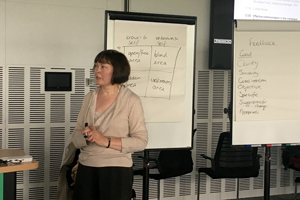 The day then carried out first, with an experiential and reflective session on personal wellbeing, delivered by Ms Adele Frost, Wellbeing Manager, King’s College London (KCL). 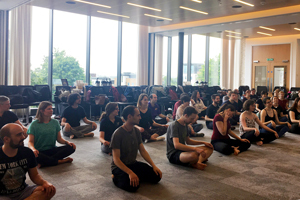 The Wellbeing team at KCL aims to help all staff and students fulfil their potential by educating and empowering them to optimise their physical and mental wellbeing. As such, it's no surprise that this session included a very active yoga session in which our staff worked through the 5 ways to wellbeing. After a very energetic start, all staff members had an opportunity to learn and practice methods that are conducive to promoting an effective communication in the workplace, in a session delivered by Dr Kathy Barrett, University Lead for Research Staff Development, Centre for Research Staff Development. This was based on a technique called 'The Johari window', which enables people to better understand their relationship with themselves and others. 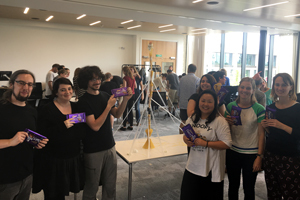 The afternoon continued with a few team-building activities, which saw our staff put their creative minds to work, first by figuring out how to untangle the human knot without letting go of hands and later on, by creating a giant tower made of spaghetti that could hold an egg. Fortunately, no eggs were harmed in the process. 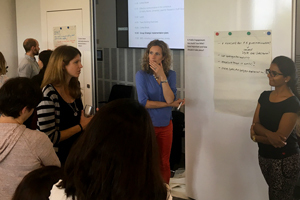 The meeting also provided an excellent opportunity for all members of staff to reflect and provide their input into some of the Centre’s strategic areas such as, recruitment, communication, inclusivity and public engagement. The day finished with a lovely BBQ.